The original Metricon® conveyor is a modular system used for automatic handling of washed garments between laundry workstations. It is very well proven in use, with more than 600 systems in more than 40 countries - and billions of garments sorted! 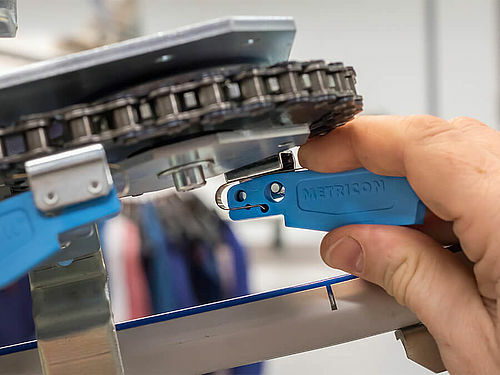 A Metricon® conveyor system – small or large – is always customized with standard proven components and built to obtain optimum solutions as well as the best possible value. 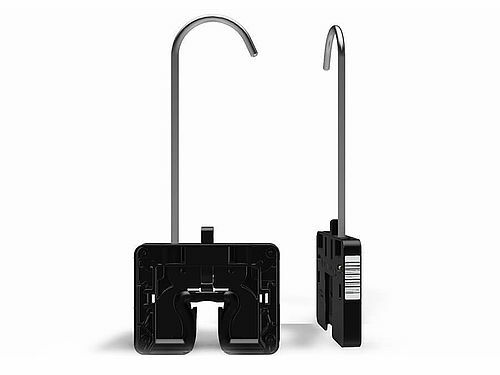 High quality sorting with either Metrilink hanger carrier units to operate the system with thin wire hangers, Lobster hangers for folded garment delivery or with several customized system hangers. It can be adapted for any laundry premises and can be expanded easily as the system's requirements change. Changing driving dogs can now be made without requiring any tools.